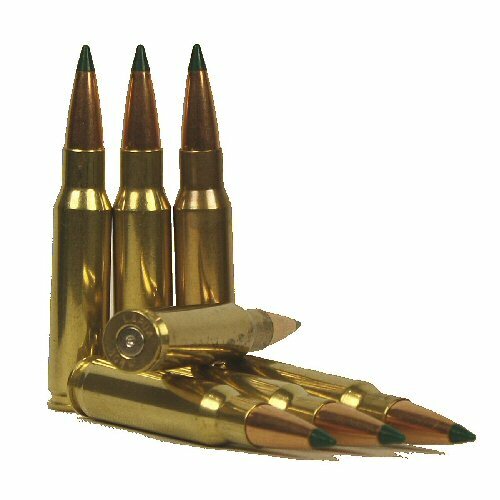 An simulated sniper 308 round, inert and fully deactivated cartridge or round with genuine Lapua headstamped case and red ballistic tip FMJ head. Also known as .308, 308 Win. The ballistic tip is a red plastic insert at the top end of the head for ultra low drag and the bullet head is profiled for near perfection in flight. Developed to provide accuracy in the 1000m range, the 308 cartridge is used as a sniper round by many military and law enforcement forces, including the German forces' G22 AW rifles. This particular ballistic tip is UK legal. Other countries, please check your local legislation on ballistic tips as we will not accept responsibility for Customs seizure or law enforcement action for possession of controlled items. Please note, these inert cartridges are shipped with no powder and fired primers (indented). Warning, attempts to illegally re-activate will result in personal injury! Price is for one inert round only. Inert rounds shipped outside the UK may only be shipped by courier (eg UPS) due to civil aviation authority controls.